Last week we were part of Kristie and Will's wedding at the Taglyan Cultural Complex in Los Angeles, photographing their portraits with guests as they entered the reception. After a heartfelt ceremony full of their closest friends and family, we were able to help Kristie and Will leave their guests with a unique memento print to take home with them. 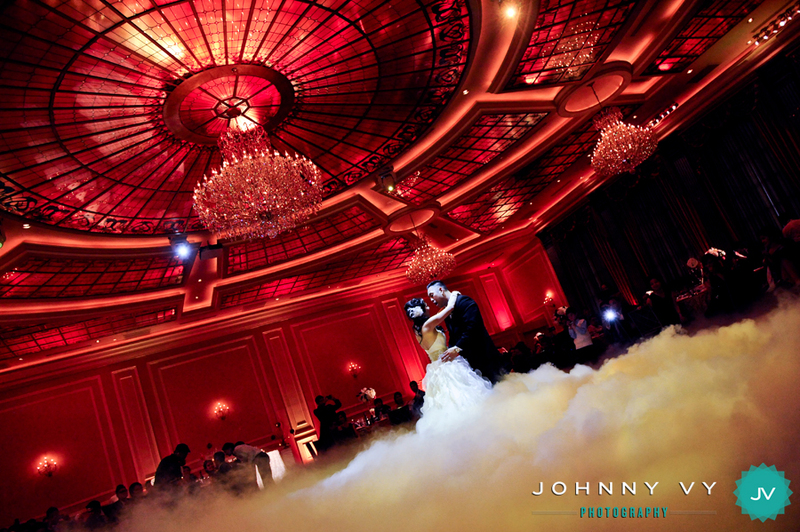 Once the reception began, I was able to grab my camera during their first dance and took a quick candid picture while the fog machines fogged up the dance floor. I thought it was pretty cool because it looked like the train of her dress continued on amidst the fog. What a beautiful sight, don't you think?